Bill Gates always wanted a tablet. Back in 2001 when the first real tablet PC running Windows emerged, Gates was bullish in an interview with CNN: “Within five years I predict it will be the most popular form of PC sold in America,” he said. Apple’s iPad won the tablet popularity race nearly 10 years later, but it hasn’t become the most popular form of PC yet. Gates saw the value of a convertible tablet complete with a keyboard and a pen 15 years ago, but it’s not Apple that’s leading the industry forward with the idea of a modern tablet. It’s Microsoft. It's not just a day for Marvel; Disney has announced a slew of new release dates for upcoming animated and live-action films, including The Incredibles 2. The Pixar sequel is now scheduled to arrive June 21st, 2019, with Toy Story 4 — originally slated to open in 2017 — pushed to June 15th, 2018. That will leave room for Cars 3, which is now scheduled to open on June 16th, 2017 (Pixar really likes mid-June openings, in case you were wondering). Apple's designed its Apple Watch to meet a wide range of tastes and budgets, offering the device at price points ranging from $350 to $17,000. Recently, the company also teamed up with Hermés for a unique designer Apple Watch collection that features Hermés bands. Some accessory makers have taken a cue from Apple and have also partnered up with well-known fashion labels to create unique Apple Watch accessories. One of the latest companies to do so is Incase, through a partnership with luxury brand Parabellum. 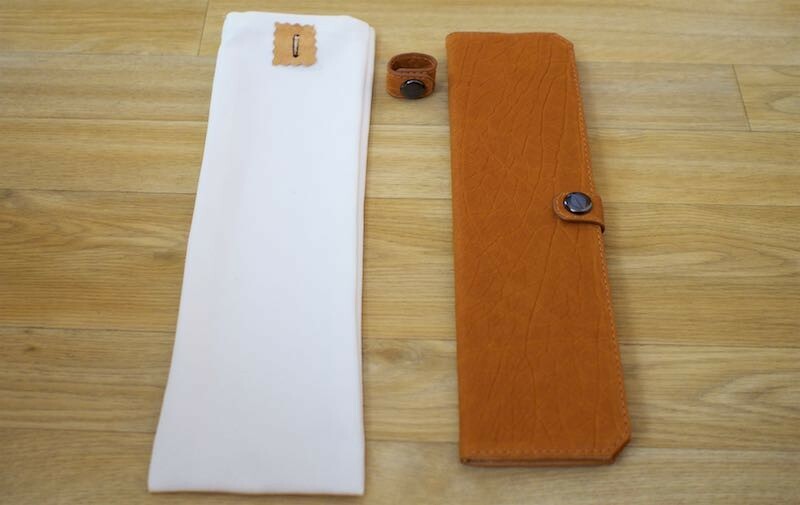 Together, the duo have created the Apple Watch Travel Folio, which is handcrafted in Los Angeles, California from full grain North American Bison leather. Design wise, the Travel Folio has an impressive attention to detail and impeccable construction, and I would expect nothing less for its premium $250 price tag. The exterior is a high-quality textured leather while the interior is a soft suede to keep the Apple Watch safe from scratches. I am not an expert on leather, but the Bison texture looks nice and it should weather well with daily use. 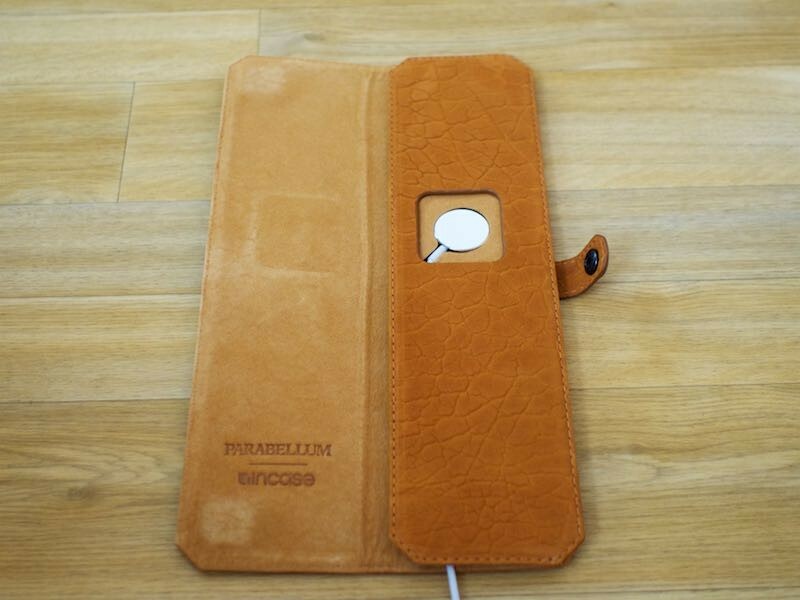 I used the Incase x Parabellum Travel Folio in Pumpkin, which is a rich orange-tinged brown color that would match well with a Gold Apple Watch and is used for several other Parabellum products. The Travel Folio also comes in a classic black, but both are made from the same bison leather. Parabellum is known for its style and quality, and while I'm also not a fashion expert, the Travel Folio matches the Parabellum aesthetic and is as stylish as the company's range of popular bags, belts, and wallets. For someone who owns other Parabellum products, the Travel Folio would fit right in with a collection. 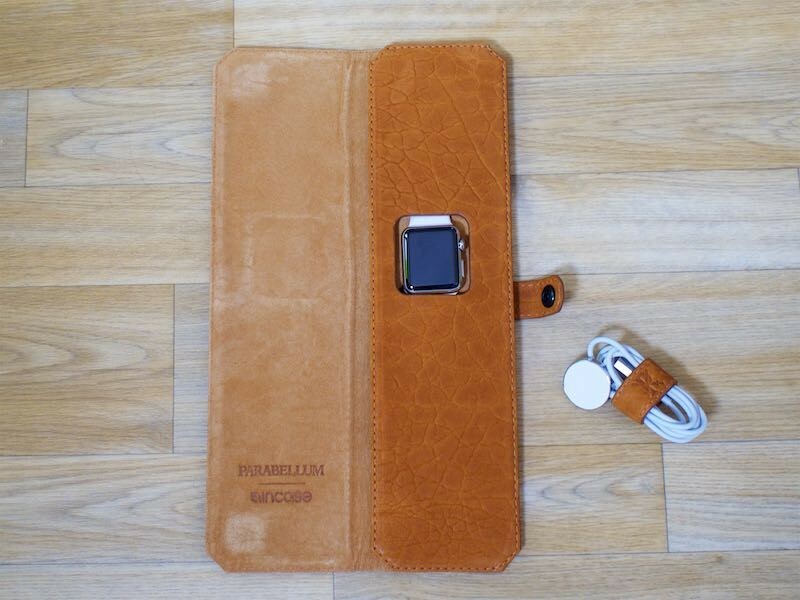 Incase and Parabellum only made 150 of the Apple Watch Travel Folio accessories, so each one is a limited edition product. A dust bag is included with the Travel Folio, and there's a subtle Incase logo on the snap button (which is made of ceramic) that keeps it closed. 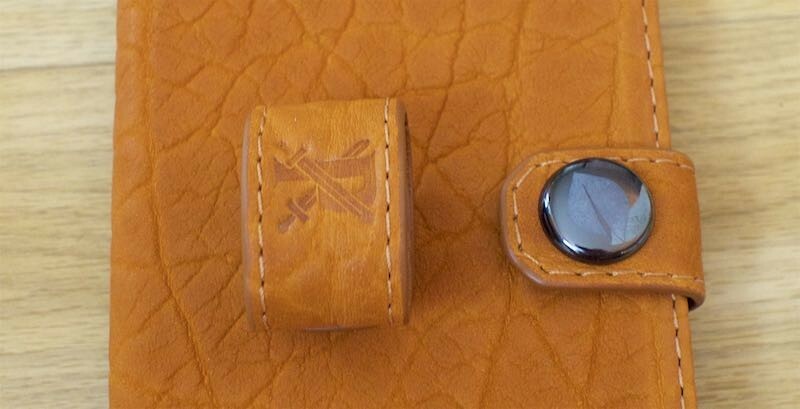 An additional cord wrap is included, with a matching button with a Parabellum logo. 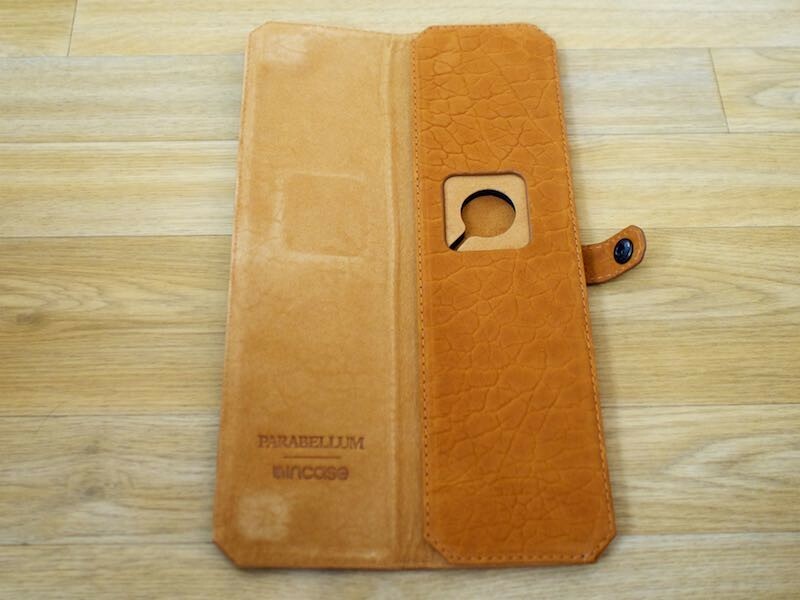 Inside, the Folio is stamped with the Parabellum and Incase brand names. The Travel Folio is multi-purpose, serving as both a charging station and a way to transport both the Apple Watch and the Apple Watch charger. 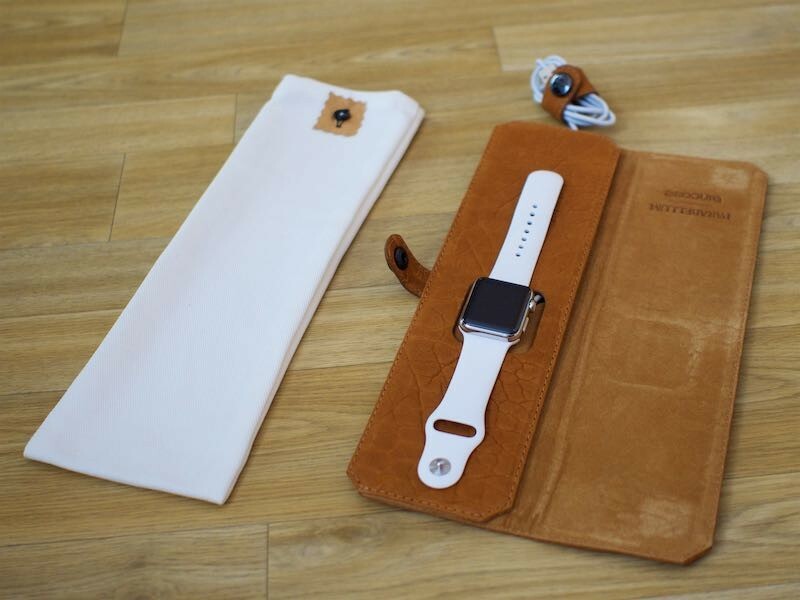 When traveling, the Apple Watch can be placed under the leather of the right side of the Folio, while the charger is wrapped up in the separate cord wrap. With the Apple Watch in the Folio, the band is covered while the face of the Apple Watch remains visible for quick time checks. As the name suggests, this is a Folio - it has a cover that folds over the Apple Watch and snaps closed. I noticed when using the Folio that it has a bit of a bulge where the Apple Watch is located when it's shut with the Apple Watch inside. 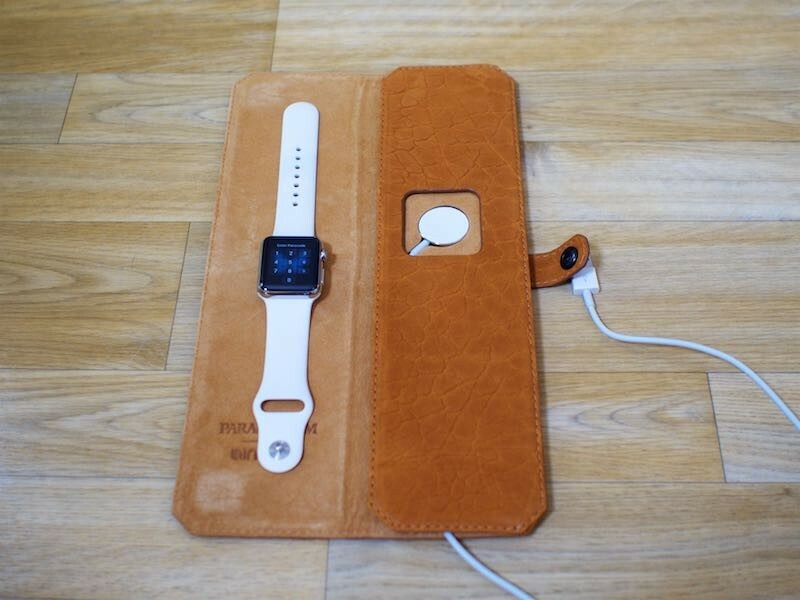 There's a suede-covered foam cutout that accommodates the Apple Watch charger for using the Travel Folio at home or for charging. The Apple Watch charger fits into the cutout and the cord is drawn through the bottom, allowing it to be plugged into a power adapter. 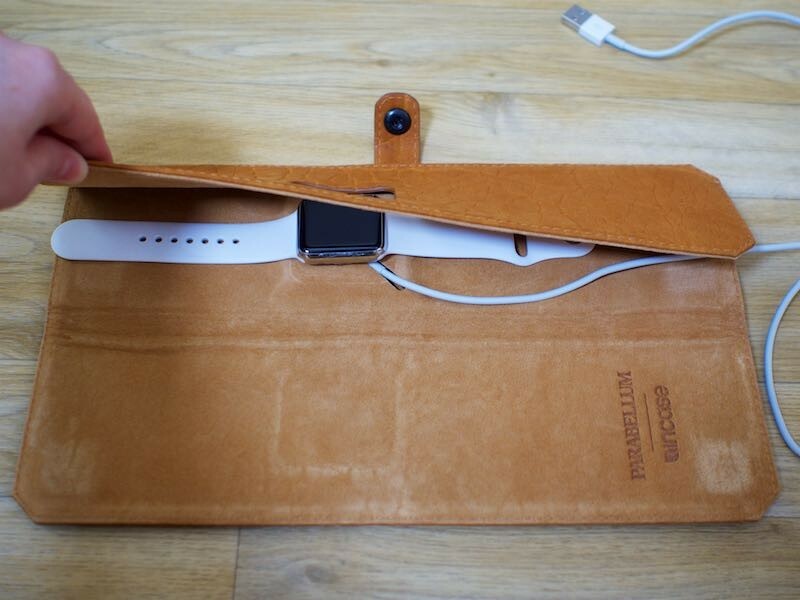 From there, the Apple Watch can be placed atop the charger inside the Folio, either underneath the leather flap or atop it. Because the cutout for the Apple Watch charger is suede and foam, it's not particularly stable within the Folio, but that doesn't much matter because the entire thing lays flat on a desk or other surface. When traveling, the Folio can be used to store the Apple Watch while in transit, and then set up in a hotel room as a place to charge the Apple Watch at night. Serving two functions gives it a lot more versatility than a simple Apple Watch carrying case, but ultimately this can be purchased for either purpose. It works as a simple case for holding the Apple Watch during travel or as a charging solution. Because of its design, the Travel Folio only works with open-loop bands and it does not support iOS 9's Nightstand mode. Someone with a closed-loop band like the Milanese Loop may not want to buy the Travel Folio because of the hassle of needing to undo the band each time it's used. The long length of the Travel Folio makes it somewhat awkward to transport. It won't fit well in a purse or pocket, but it will fit in a suitcase, briefcase, or larger bag. At home, it looks nice on a desk or a nightstand and it keeps the Apple Watch safe from the environment while it's charging, but it's not a better solution than one of the many other docks on the market for home charging. At $250, the Incase x Parabellum Apple Watch Travel Folio is aimed at a niche audience. It's ludicrously expensive compared to other Apple Watch stands and charging solutions on the market, and it's not something that I would buy myself or that I would recommend to the average person who owns an Apple Watch simply because of its high price tag. For someone who's familiar with the Parabellum brand, likes a bit of luxury, or needs a way to keep an ultra-expensive Apple Watch Edition safe, the Travel Folio is worth looking into. 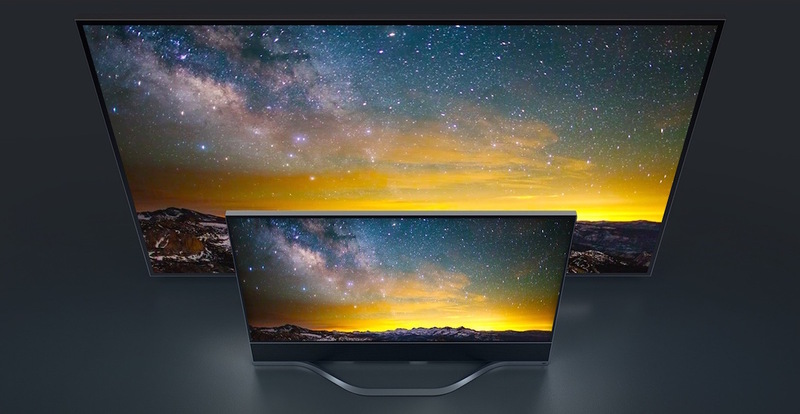 Disregarding its price tag, it's versatile because it can be used for travel or at home on a desk, but its size makes it unwieldy. It's not the most practical Apple Watch charging solution or travel case that I've seen, but if you're spending $250 on an Apple Watch accessory, I'm guessing practicality falls below quality, branding, and design. The Travel Folio is exquisitely made and is inarguably one of the most high-quality Apple Watch products on the market. 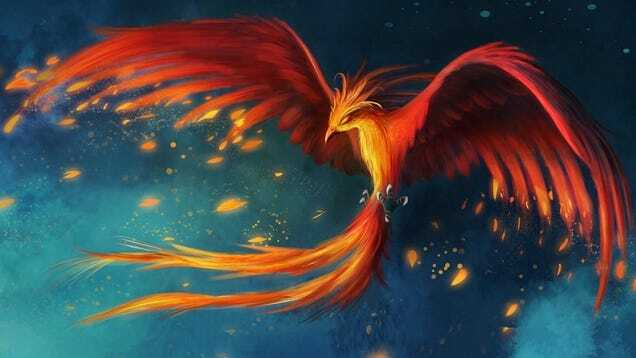 If you're after those particular attributes and price is not a factor, it's worth a look. Sony has been having such a torrid time with its smartphones lately that you might say it can't catch a break — only in this case, that's exactly what it did. I have had the company's new flagship handset, the Xperia Z5, in for review since the beginning of this week, but I've already managed to create an expansive, arcing crack in the rear of its case. Like previous Xperia Z devices, this latest model has glass on both the front and the back, though the rear portion is now frosted glass, which appears to be more fragile and susceptible to cracks than the stuff used previously. Either that or I've been incredibly unlucky. As we head into winter, many people will see these frosty figures show up on their windows, or on the hoods of their cars. And ben though you’re seeing them here on earth, such patterns are excellent examples of how ice forms in outer space. Beach House is releasing a new album called Thank Your Lucky Stars on October 16th, according to Stereogum. This is the first anyone's heard of the album, and it might've remained a complete surprise if not for fans' fervor and attention to detail. There are all kinds of different ways to use Wolfram Alpha, and it’s often a better idea to load up the computational knowledge engine rather than your search portal of choice. 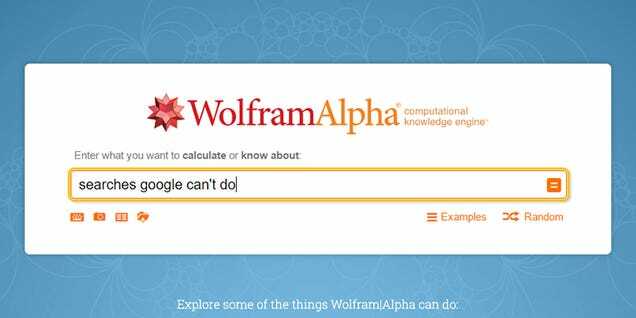 Here are 16 of the most useful queries that Wolfram Alpha can handle but leave Google stumped. In a follow-up story on his interview with Tim Cook last month, BuzzFeed's John Paczkowski relates some additional details on Apple TV shared by Cook, including word that developers will indeed be able to make their content available to universal search via an API. Cook went on to note that universal search will be intelligent enough to know which services the user is subscribed to, highlighting which sources are available free or with existing subscriptions. 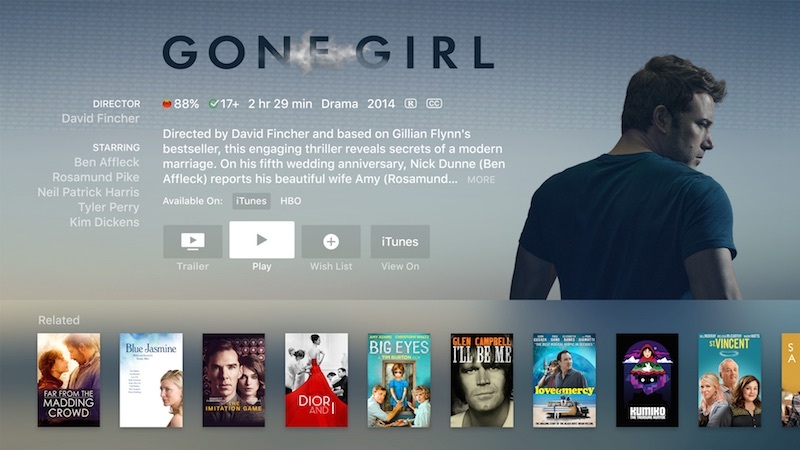 This is true even when different services offer only a portion of a television series' seasons, such as a show where older seasons are available through Netflix with an existing subscription but newer seasons may need to be purchased through iTunes or through a new HBO subscription. Going to Pluto was incredible, but as we continue to soak in the glorious images , NASA’s already trying to figure out which celestial target to hit next. 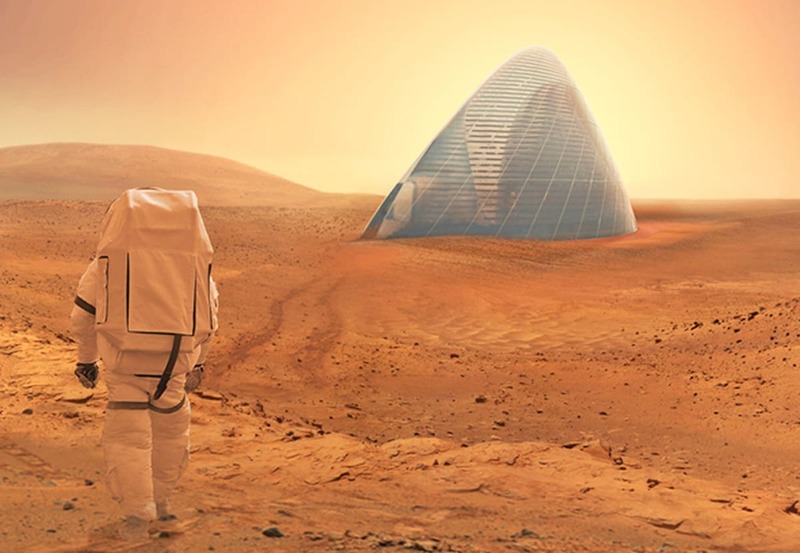 The space agency revealed five finalistconcepts this week, including missions that would take us to Jupiter’s asteroids and the surface of Venus. For Google, with a new parent company comes a new code of conduct, and there's a pretty noticeable change. The search company's famous creed — "don't be evil" — is absent from Alphabet's new code of conduct. The new code of conduct was published on Friday after Google officially completed its transformation into one of several organizations within a parent company, which is called Alphabet. Apple's Brazilian and Colombian websites have been updated to note that the Apple Watch will be launching in those countries on Friday, October 16. 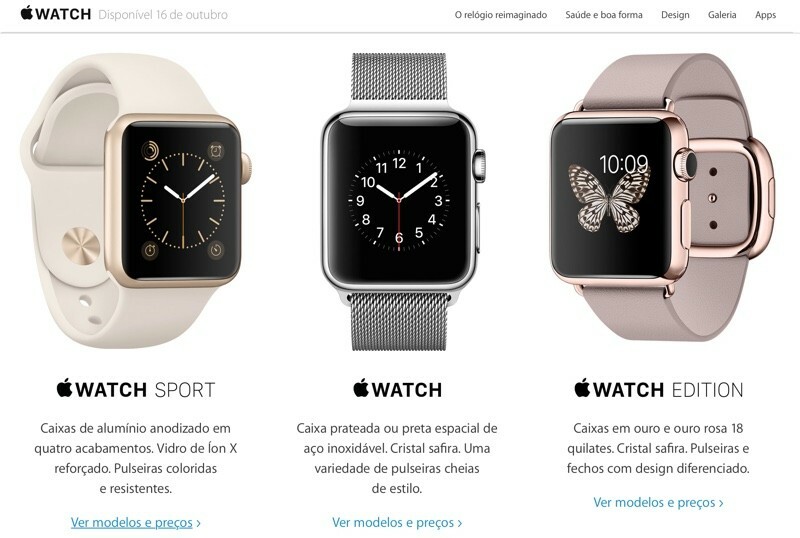 The October 16th launch of the Apple Watch in Brazil and Colombia will mark the seventh Apple Watch launch wave. The sixth launch wave will take place next Friday, with the Apple Watch expanding to Belgium, Finland, Norway, Luxembourg and Poland. In Brazil, pricing for the Apple Watch Sport will start at 2.899,00 reals for the 38mm model, which is equivalent to approximately $733.70. Apple Watch prices in Colombia are not yet available on the website. On the outside, the iPhone 6S and iPhone 6S Plus look very much like their predecessors. But, a dissection of Apple’s latest phones has revealed what could be some very clever waterproofing measures to keep liquids out and your sanity intact. Upon opening up an iPhone 6S, iFixit first noticed an adhesive gasket placed between the front and back panels that didn’t exist in the iPhone 6 lineup. While unannounced by Apple, this small change in design is likely to greatly reduce the amount of iPhones returned due to minimal water damage. But, let’s say that you drop your iPhone in the pool. Is the new adhesive seal enough to keep your phone from frying? Probably not. Thankfully, the teardown specialists also discovered that every one of the logic board’s cable connectors is sealed to protect itself in the case that water does make its way inside. Maybe that’s how the devices in the video below survived water torture for an hour. YouTube : https://www.youtube.com/watch?v=t_HbztTpL08While these are certainly welcomed additions for butterfingered iPhone users, it’s strange that Apple didn’t mention these efforts to improve water resistance at all alongside the announcement of its latest phones. iFixit points out that the Cupertino, CA-based company only recently filed a patent in March for the waterproof silicone seals seen in the iPhone 6S and 6S Plus. 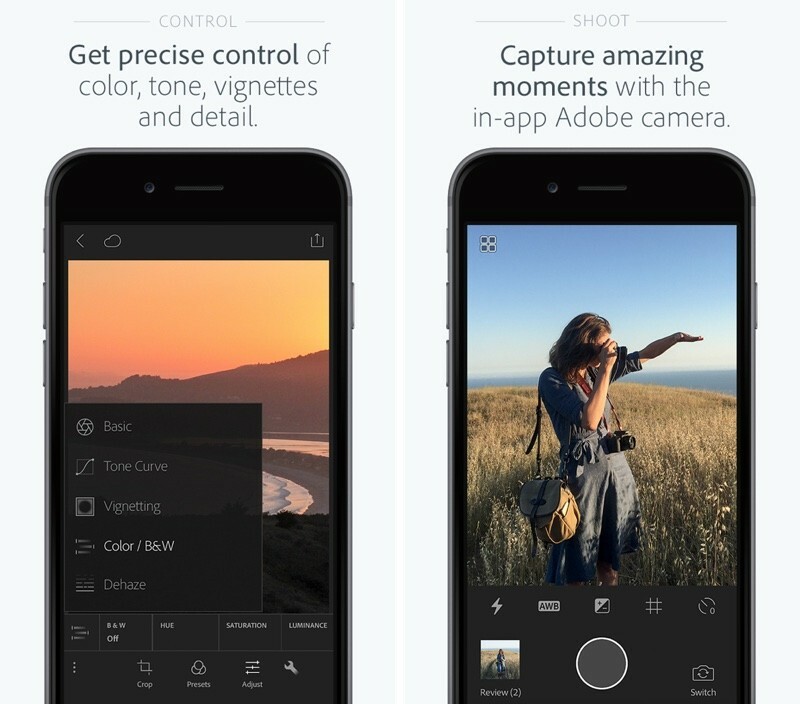 Perhaps, this is just a trial for next year’s iPhone. Even though many users have found the new iPhones to be more hydrophobic than before, we recommend that you don’t risk losing yours just to see if it works or not. Apple has purchased VocalIQ, a startup located in the United Kingdom that has developed a natural language API to allow computers and people to have a more natural dialogue, reports Financial Times. According to VocalIQ's website, the company has developed a self-learning dialogue API built on 10 years of natural language research, belief tracking, decision making, and message generation. It's not always clear how Apple uses the technology from companies that it purchases, but with this acquisition, it's likely Apple will use the API to improve its voice-based personal assistant, Siri. Financial Times also believes Apple could use the technology for its upcoming car project, as VocalIQ specialized in in-car applications among other things. While VocalIQ's speech processing and machine learning technology could be incorporated into devices from wearables to the connected home, the company was particularly focused on in-car applications. 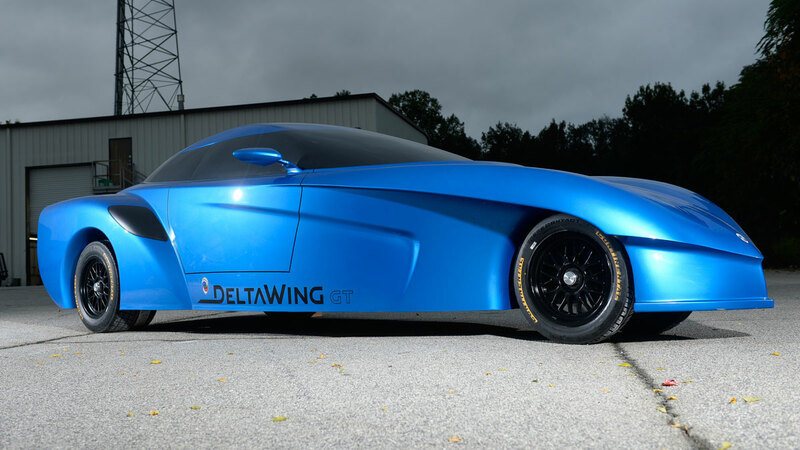 This included a collaboration with General Motors. In a blog earlier this year, VocalIQ described how a "conversational voice-dialog system" in a car's navigation system could prevent drivers from becoming distracted by looking at screens. 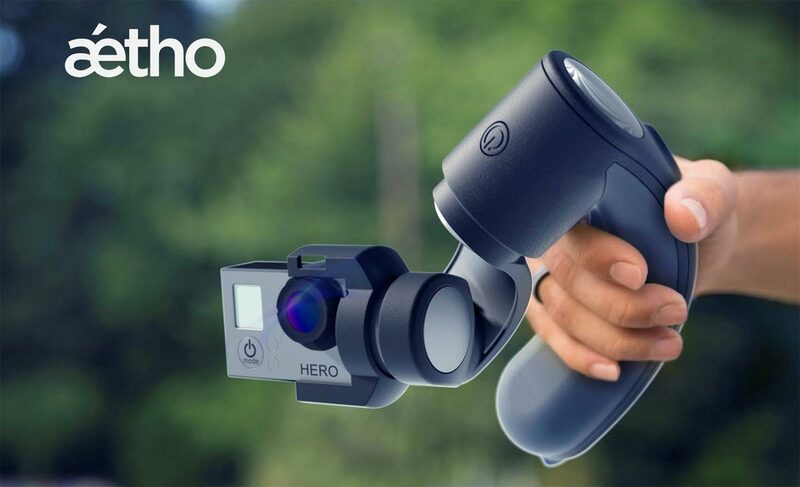 Its "self- learning" technology allows "real conversation between human and the internet of things", VocalIQ wrote. VocalIQ has criticized Siri in a past blog post, calling the virtual assistant a "toy" unable to understand context. The difference between VocalIQ's system and traditional speech-recognition services like Siri and Cortana is its ability to learn. The reason for this state of affairs is that while Apple, Google and the some others have mastered how the use machine learning for speech-recognition, they are still stuck with medieval approach when it comes of conversational voice dialog. They are still using pre-programmed flow-chart based response that don't learn. The consumer demand for a self-learning multi-domain conversational voice system where consumers can freely talk about movies, restaurants, music, hotel bookings and the meaning of life, is huge and undeniable. 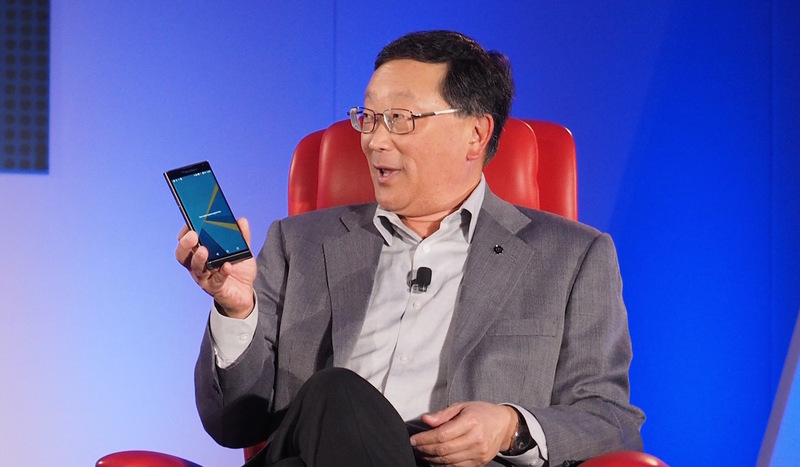 The first one to meet that demand will rule the smartphone and wearables market for the next decade. Apple confirmed its purchase of VocalIQ with its usual statement: "Apple buys smaller technology companies from time to time, and we generally do not discuss our purpose or plans." The Next Big Space Race?